One of the most important Spanish artists of his time, Francisco Goya is known for his prints, his portraits and his romantic paintings. 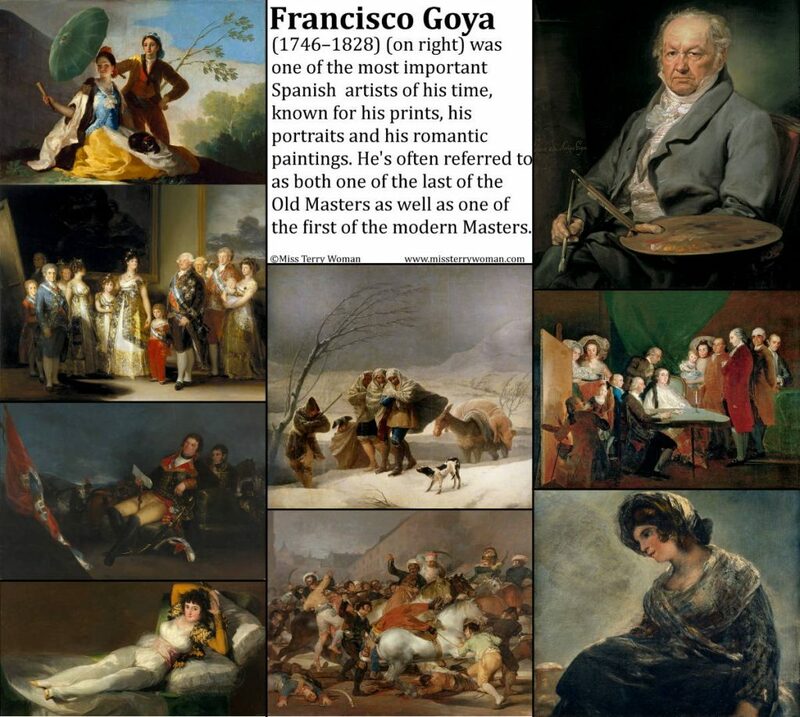 Goya is often referred to as both one of the last of the Old Masters as well as one of the first of the Modern Masters. 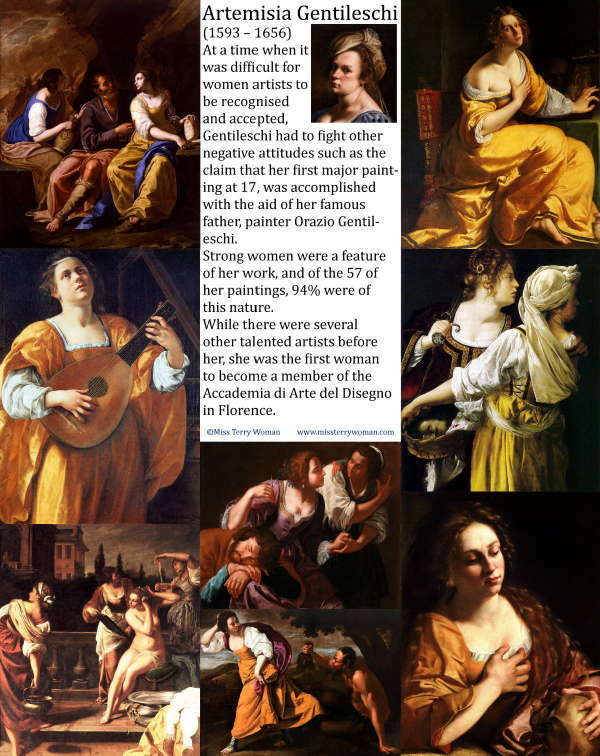 At a time when it was difficult for women artists to be recognised and accepted, Gentileschi had to fight other negative attitudes such as the claim that her first major painting at 17, was accomplished with the aid of her famous father, painter Orazio Gentileschi. Strong women were a feature of her work, and of the 57 of her paintings, 94% were of this nature. While there were several other talented female artists before her, she was the first woman to become a member of the Accademia di Arte del Disegno in Florence.